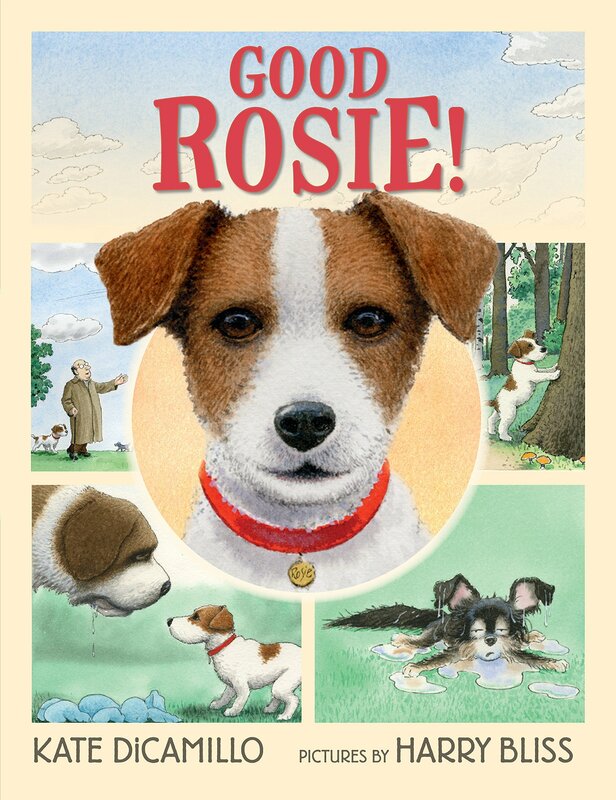 Summary: Rosie is kind of lonely; she barks at the dog at the bottom of her shiny silver bowl, but doesn’t get a response. She wags her tail at a cloud that’s shaped like a dog, but that’s unsatisfactory as well. Finally, her owner gets the hint, and they head to the dog park. There, Rosie meets a not-too-bright St. Bernard named Maurice, and a very bouncy, yappy little dog named Fifi. Rosie’s ready to call it a day and head home when Maurice decides to play with Fifi and almost swallows her whole. Rosie intervenes and is surprised when the three of them end up as friends. 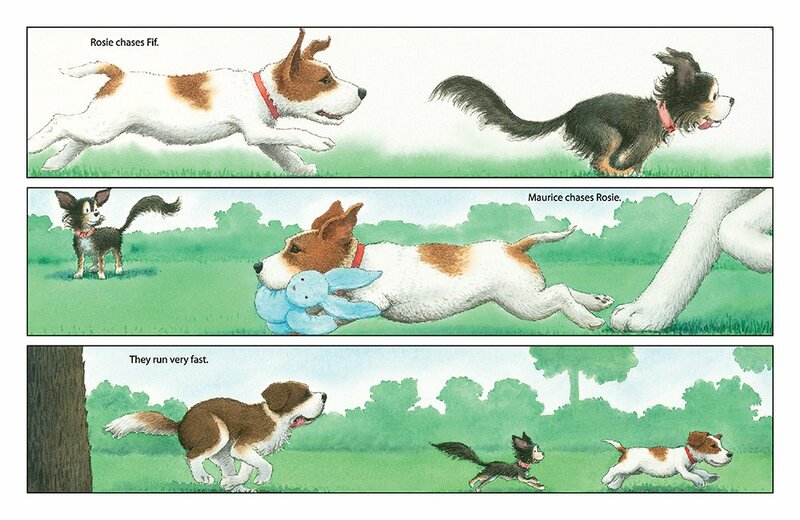 In the final chapter, a trip to the dog park and games with Fifi and Maurice have become part of the routine for Rosie and her owner. 32 pages; grades K-3. Pros: There’s plenty of humor in both the story and illustrations of this graphic novel style picture book. I’m a big Harry Bliss fan, and he doesn’t disappoint with his adorable, expressive dogs, while Kate DiCamillo knows how to perfectly capture small details of friendship. Cons: I’m sorry Fifi almost got eaten, but she did seem pretty annoying.